If it is gonna snow, might as well use the snow to help your students learn a few things. 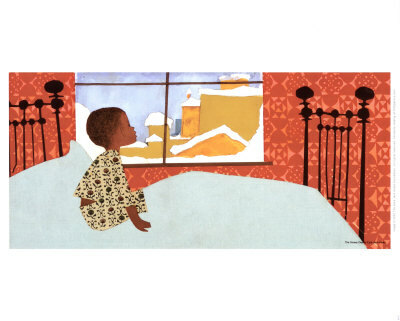 Before Reading the Story: Ask your students if they have walked and played in the snow. Invite students to share their experiences. Then have students make a "Snowy Day" graph with you. Write on a sheet of construction paper, "Have you ever played in the snow?" Write yes on one side of the paper and no on the other side. Let each child glue a cotton ball on the side of his choice. Your students will enjoy these cute videos! How did the snow get piled up along the street? / Where do you think Peter lives? Explain your answer. / Peter knew he wasn't old enough to join the snowball fight. How do you think he felt? / What is something you will do when you are old enough? / Peter put a snowball in his pocket. When he looked for it later, it was gone. What happened to it?/ What do you think Peter and his friend will do in the snow? Have students suggest what to write in each column. Fill different size containers with cold water. Drop some small plastic animals (or other neat stuff from your classroom) into the containers with water and let it freeze over night. Empty frozen forms out of the containers and place them in shallow tray, bins or in your water table. Note, if you have difficulty loosening up ice from the container, run it under warm water for a minute or two to loosen it. You might provide children with small plastic hammers for them to "pick" away at the ice, much like mountain climbers do when they are snow hiking. Children will love to find the hidden treasures hidden beneath the ice! Read the books below. Have the children compare and contrast these books! Read other Snowy Day Books - click on the book to learn more!